Since worries about the depletion of the ozone layer began in the 1980s, refrigerants with high ozone depletion potential (ODP) – chlorofluorocarbons (CFCs) and hydrochlorofluorocarbons (HCFCs) – have been gradually phased out. These refrigerants were largely replaced with hydrofluorocarbons (HFCs). However, as global warming became an increasing concern, HFCs were also found to have a negative environmental impact due to their high global warming potential (GWP). Both industry and government seek to reduce these greenhouse gases by introducing more environmentally friendly options. Students can learn these new regulations by training at an HVAC and refrigeration school. More recently, hydrofluoroolefins (HFOs) have been touted as a viable alternative, as they have zero ODP and low GWP. Although more eco-friendly than HFCs, HFOs share similar safety hazards. Most currently available HFOs have been granted A2 ratings, which indicate that they have low toxicity and are slightly flammable. However, the risk for bodily harm starkly increases if HFO refrigerants leak and catch fire. 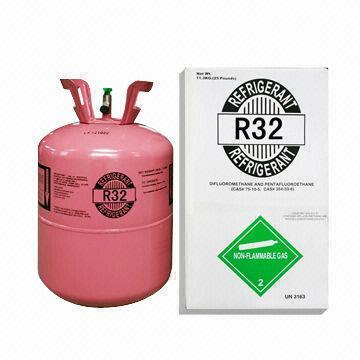 1 For example, low-GWP refrigerant R1234yf is being tested in some automobile air conditioning systems, but manufacturers have found that the refrigerant could ignite in the case of a serious accident, although so far this has not occurred. Another natural, eco-friendly refrigerant is CO2 (carbon monoxide), which was used extensively in refrigeration prior to the 1930s until CFCs took over. CO2 is in fact non-flammable. However, it can be hazardous. It can explode when heated, accumulate in dangerous amounts and lead to suffocation, and cause frostbite. While new refrigerants are more environmentally friendly, they are not hazardous free. Professionals must still keep in mind that they need to be used, stored, and disposed of safely according to regulations.